If you saw my last post with a few pictures of baby #3 on the inside, the bump has now disappeared and baby is on the outside. 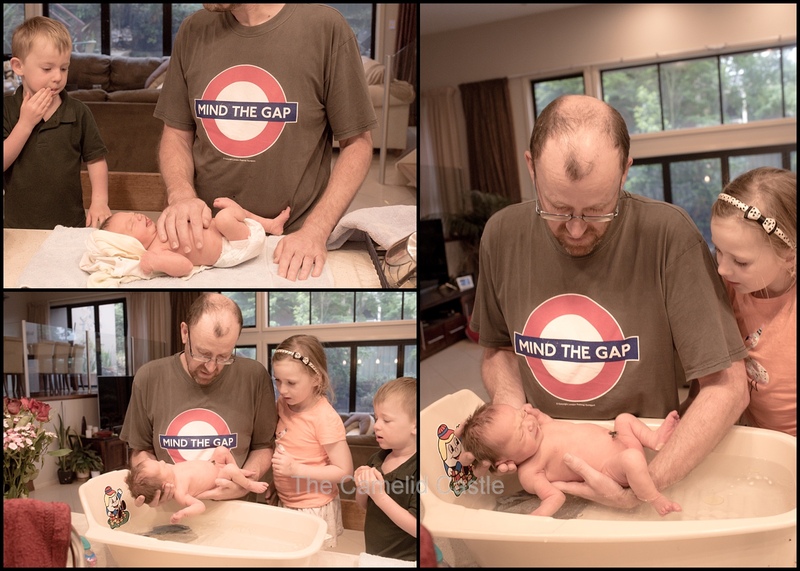 Newborns require an awful lot of time and attention so there hasn’t been a lot of photo editing or blog posts. 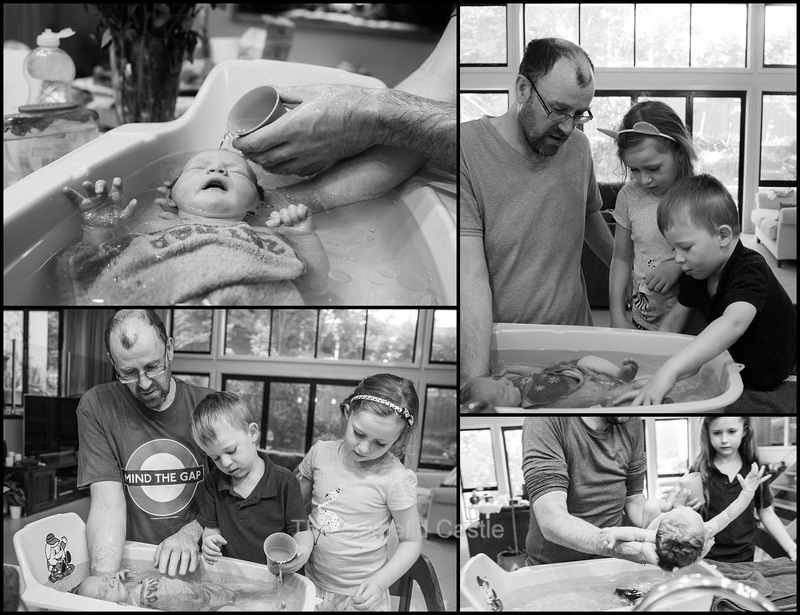 There will eventually be an overload of birth and newborn photos, but for now a couple of quick pictures of Baby W on the outside and enjoying her first bath. Here she is still on the inside just a few weeks ago…. That bump was hiding one very cute little baby. I kept getting told for every ultrasound the baby ‘had a lot of hair’. Both older siblings had plenty of hair, but they weren’t kidding, so much hair! I think we got 3/3 in the water-loving stakes. 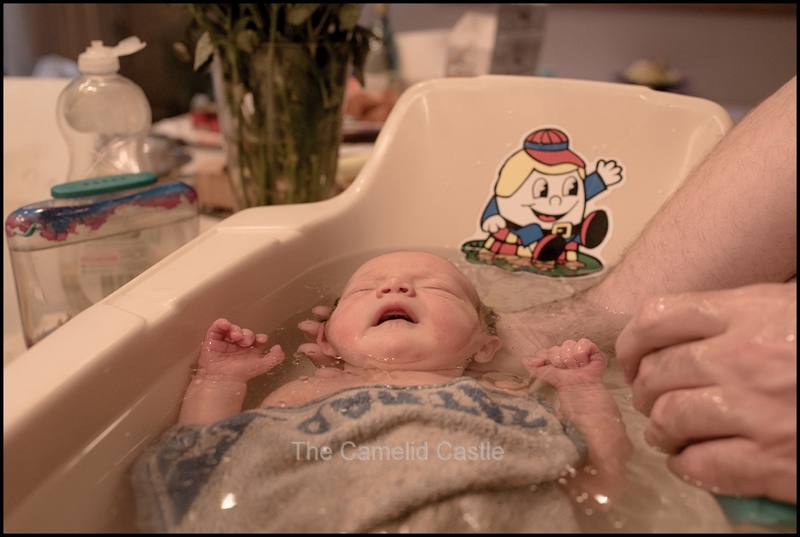 Astrid and Soren are part fish and this baby is another water baby, loving her baths and showers. The big kids love helping their little sister have a bath, and despite being on the small side compared to my other kids she is by far the tallest at birth. 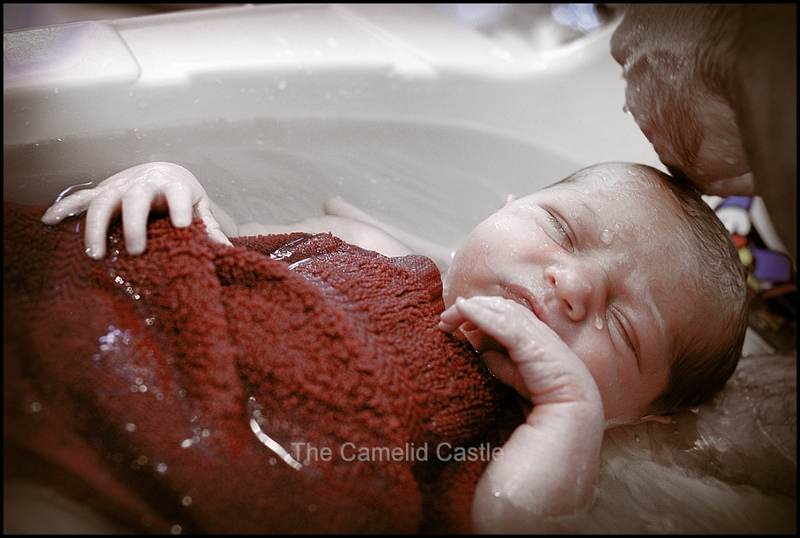 The moment she hit the water for her first bath at 3 days old she stretched right out and was super-relaxed! We aren’t getting a lot of use out of that bath, her legs are almost at the end when stretched out! The kids haven’t gotten sick of bathing their sister, and Astrid loves helping her get dressed and brushing her hair (the perils of your big sister being old enough to ‘help’)! I’m pretty sure we make babies in 1 form. This one looks an awful lot like her big sister, with a little bit of big brother thrown in for good measure. 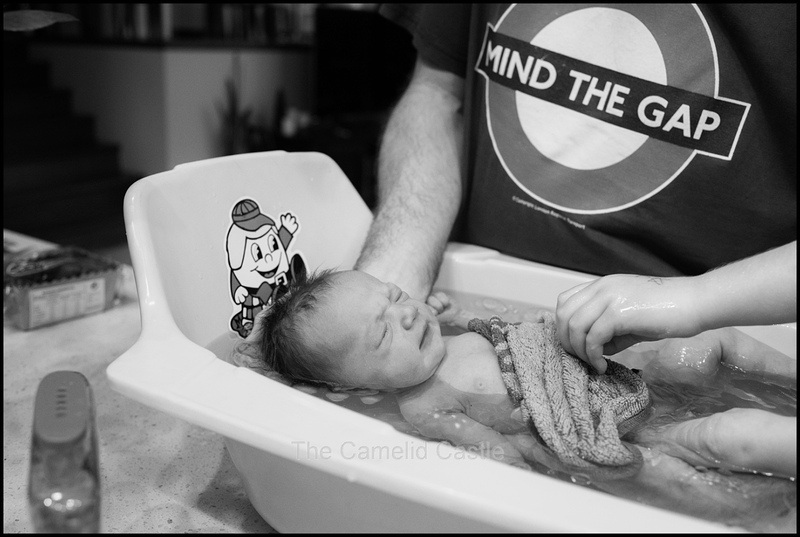 Here is the photographic evidence, Astrid having her first bath (yep in the same baby bath)…. 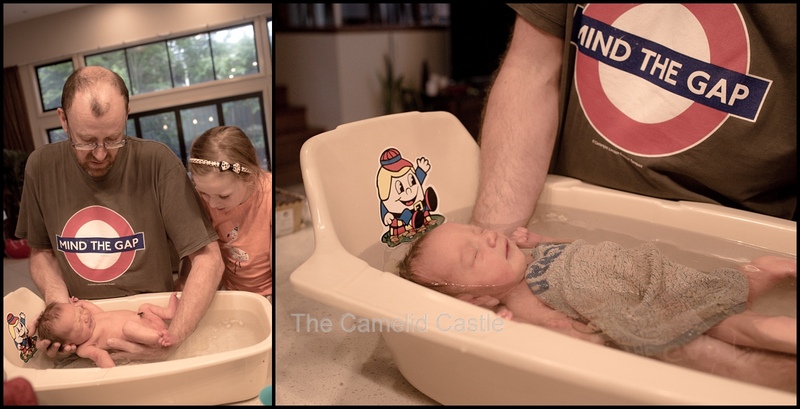 ….. and Soren’s first bath! 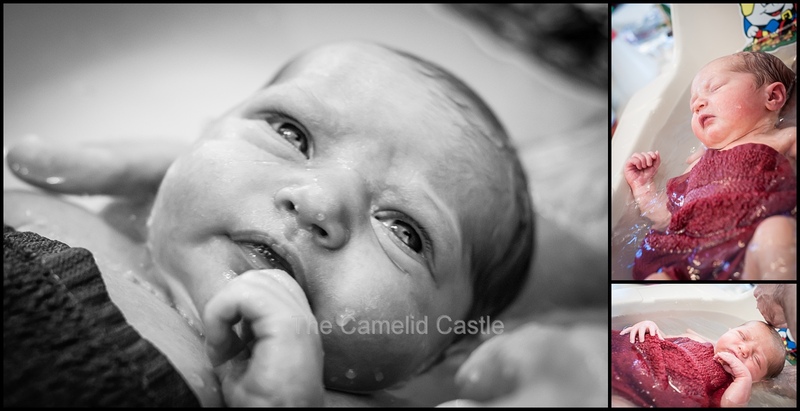 Just for good measure a few photos of the newborn cuteness from her first week! I’m sure there will be plenty more soon (and an official name)! 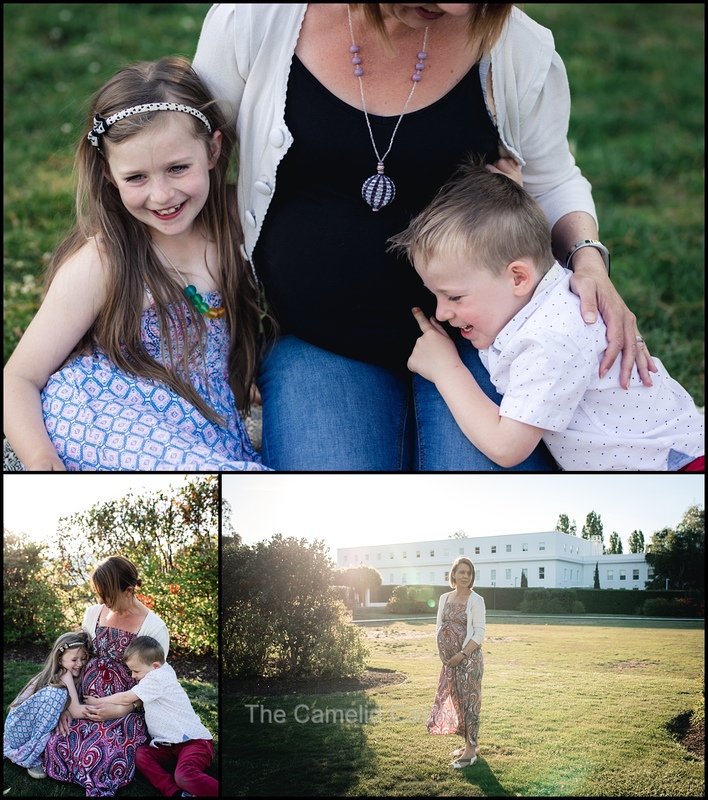 Posted in 1 week, 5 years, 7 years, Astrid, baby, bath, big sister, bump, kids, newborn, pregnancy, siblings, SorenBookmark the permalink.